Awoke early in the morning, and excited to head out for the 4-hour drive from Dominical to the cloud forests of Monteverde. Reservations were made in advance as there is a 12 person maximum on the Sky Walk Suspension Bridge. The villa staff prepared a full breakfast of rice and beans, eggs, chopped beef, sour cream, fried plantains, tortillas, and lots of fragrant coffee. My breakfast at home usually consists of fruit, cereal, and coffee - this meal was far more than I could consume in one setting. When arriving the previous evening, I made a point to personally meet the cook Jimena, and thanked her for sending the delicious meal for the ride from the airport. We talked for hours, and set up a personal tour of the Pacific coast towns with a family friend for Day 3. She packed up my uneaten tortillas and added some other goodies for the days trip. One of my best travel tips - Get to know the staff, treat them with respect, along with tipping them well. 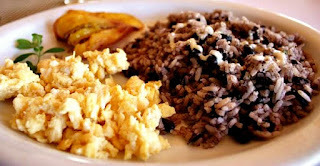 They will always point you to the best places to eat, along with other off the beaten path places to visit. 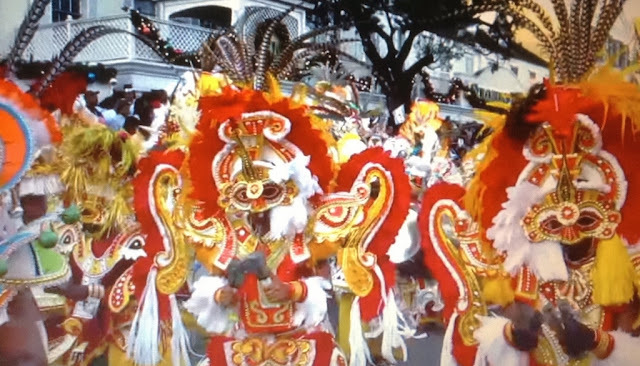 You can read guide books and reviews, however, the authentic culture will be discovered from the locals who live there. Driving to Monteverde the view was a continuous landscape of breathtaking mountains, sprawling coffee plantations, and active volcanoes in the background. We also ran into a few cattle being herded along the road. 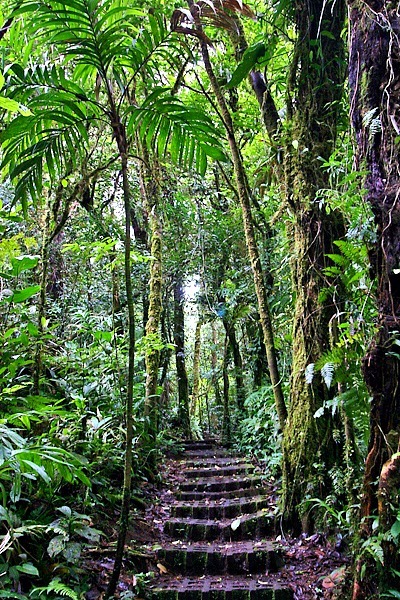 There is no actual town center, and the small town consists of a dirt road which leads to the Cloud Forest Reserve. I learned that the town was founded by Quakers from the U.S., and they started dairy farming and also established the wildlife sanctuary. The top view sits on the continental divide, both the Caribbean and Pacific oceans can be viewed on a clear day. The 300+-year-old trees are massive with numerous variety of plants and flowers clinging to the bark. 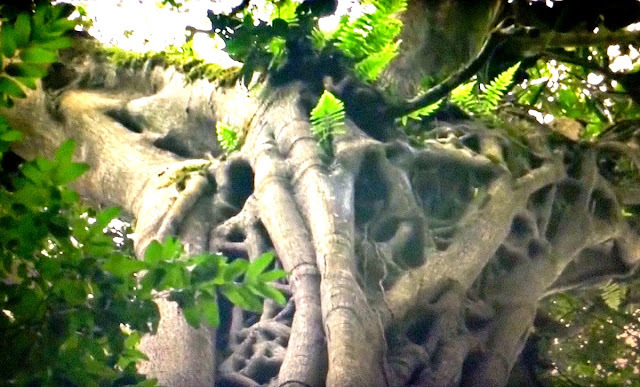 Many animals make their homes in the hollow of these huge trees. 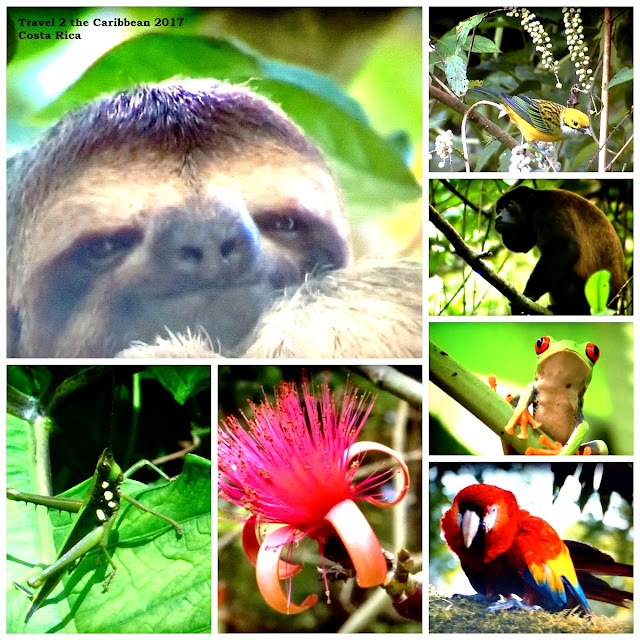 The rain forest is home to hundreds of orchids, amazing tropical plants and birds, monkeys, sloths, anteaters, lizards, and even more exotic wildlife to discover. I was prepared with rain gear for the cloud forest . . . so I thought. 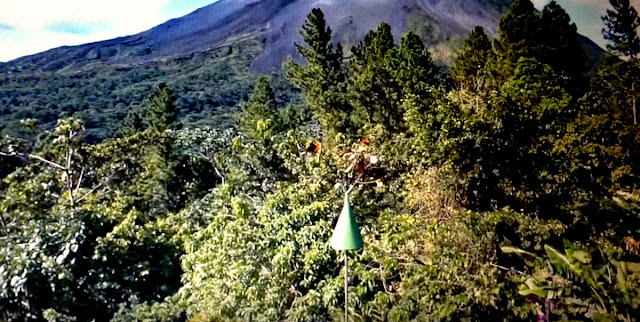 The air was hot and very humid, and going higher under the canopy provided intermittent cool breezes. Once in the clouds above the canopy, I was saturated in a steady, heavy mist. At this point, the plastic rain gear was completely stuck to my body. This was not the planned photo opt! Keeping with the "Pura Vida" vibe, I ditched the rain gear, embraced the rain, and enjoying watching the monkeys frantically jumping through the tree tops. The bridges are an intricate network above the cloud forest canopy. 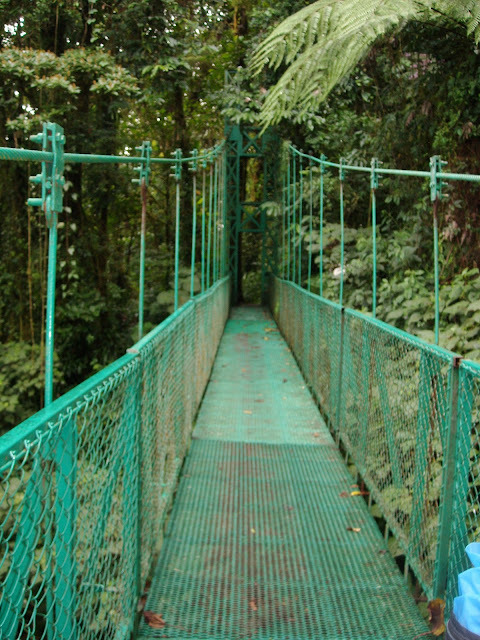 Monteverde has (6) bridges, and it takes about 2 hours to cover. 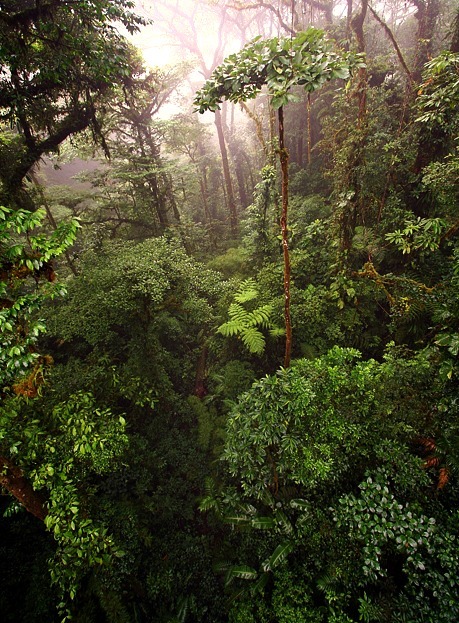 The Santa Elena Cloud Forest is located on the other side of town. This rain forest is smaller than Monteverde however, it offers a higher elevation, and views of Arenal Volcano. The initial plan was to visit both. My shoes were soaked, and the last thing I wanted was blisters. Steady rain was now forecast for the rest of the day, so I headed back to the car, and enjoyed the tortilla's and cold beer on the drive back to the villa. Overall it was an amazing day. The forecast for the rest of the week is sunny, and the next adventure is Manuel Antonio National Park. However this trek will end on a white sandy beach which borders the rain forest. Pura Vida!